"My name is Habiba Shaw. After spending over thirty years inside American kitchens and college classrooms as a health and nutrition specialist, I have uncovered the core problems with our health today - clinging on to centuries-old food habits and our addiction to fast food and commercially prepared foods. Bad eating habits predispose us to serious diseases like diabetes, high blood pressure, and heart disease among many others. My purpose in creating this website is to share the knowledge I have garnered over my career in order to help people from all walks of life change poor eating habits in order to live healthier, longer lives. Through this website, I will provide (and update regularly) healthful recipes and nutritional tips based on scientific nutritional information. My website will also include the health-related articles that I write monthly for West Georgia Woman magazine. As I am originally from Bangladesh, I will also be including special advice for other American immigrants from Southern Asia. Similar to all other communities of color, Indian subcontinent communities within the US are disproportionately burdened with health conditions including diabetes, cancer, cardiovascular disease, osteoporosis, hepatitis B, and others. (http://aahiinfo.org). Rich traditional South Asian favorites along with American cuisine and fast food are doing serious damage to health. Asian American websites, as well as other popular social media frequented by South Asian immigrants, are inundated with scrumptious traditional recipes and food demonstrations that are loaded with calories, cholesterol, saturated fat, trans fats, salt, and sugar! Despite this, many home makers continue to prepare these deathly, delicious, dishes in order to be popular within their communities. To combat these dangerous habits, I will provide tips and recipes that include far better alternatives. Finally, this website introduces my new book. My memoir details my unique journey as an Asian immigrant working in the deep South from the 1980s until now. Not only does it tell my adventurous story but also provides a wealth of health-related information learned from years of experience. You can read about my novel in the “My Book” section of this site. In order to receive the many valuable benefits of this web site, there are no memberships, email addresses, donations or subscriptions required or requested. My only purpose is to help everyone who is seeking a better and longer life along their journey to the achievement of these goals. I also do not endorse any commercial products." If you have any questions or comments please feel free to contact me at dixiebengali@gmail.com. Dr. Shaw was the first Asian American employed as a County Extension Agent with the Tuskegee University Cooperative Extension Service in the state of Alabama. Beginning in the early 1980s, Dr. Shaw provided research based nutritional and dietary instruction to her local county community centers, churches, schools, public housing centers, head start and senior centers, day camps, hospitals, court houses, community colleges, county fairs, health fairs, and private homes. Her clients included those who were afflicted by diabetes, hypertension, stroke, obesity, and other illnesses. Upon completing her doctoral degree in 1998, she was promoted to a specialist position within the Extension Service and began to provide leadership to twelve counties in Alabama. Upon her retirement in the mid 2000s, she worked as a Continuing Education Instructor for Auburn University, University of Alabama, Samford University, Troy University, Southeast Alabama Medical Center, Enterprise-Ozark Community College, Baptist Medical Center South, Trenholm State College, and others. During her career, she wrote health related articles for newspapers, scientific magazines, and brochures. She appeared on local television programs as a nutrition expert. Dr. Shaw is a former member of the National Speakers Association, Alabama Chapter, and she continues to make public speaking appearances at different clubs, churches, medical meetings, and seminars. She is also currently a member of the Carrollton Creative Writing Club in Georgia and recently completed her non-fiction narrative memoir reflecting her 30 years of experience in greasy American kitchens. 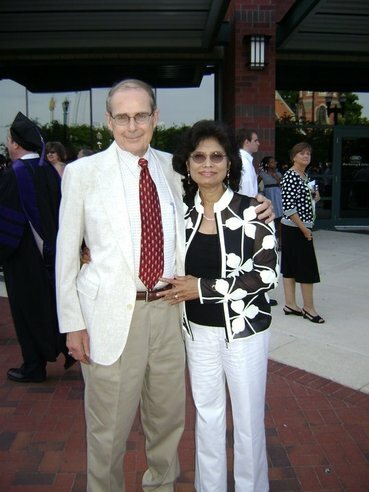 Habiba is married to Dr. Tim D. Shaw, a retired family physician. The Shaws have four adult children and two grandchildren. She and her husband enjoy a variety of outdoor activities and traveling.